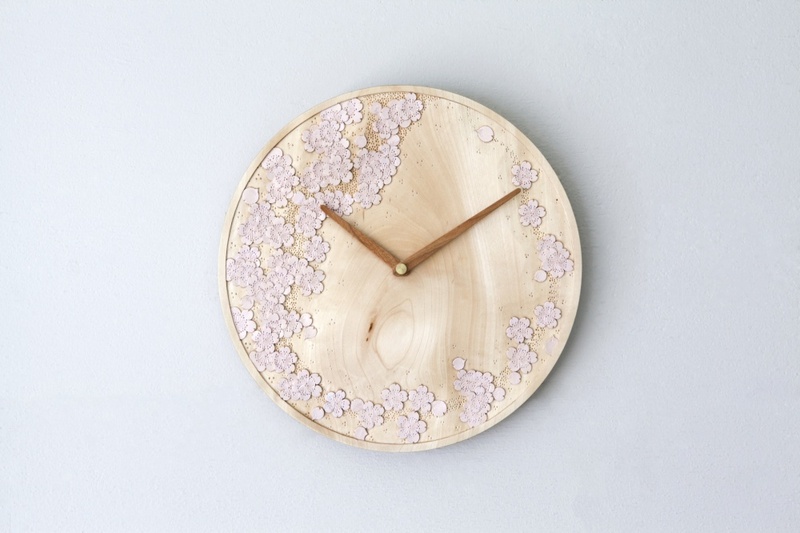 Karuizawa Bori Clock bringing crystal clear air and slow-moving relaxing time of Karuizawa to your home. This clock carved by the traditional Japanese wood carving technique doesn't have hour numerals on the face. So when you want to know the time,  you read the density of sakura (cherry blossom) and get the approximate time. Would you like to relax  without being pressed for time? 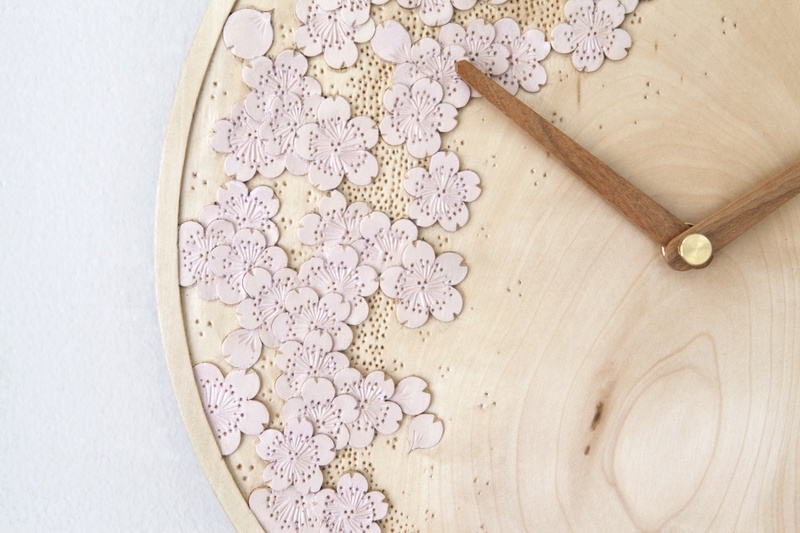 Karuizawa Bori is a Japanese wood carving, traditional craft of Karuizawa (Nagano Prefecture). beautiful sculptural decorations for the Americans and Europeans who came to Karuizawa for the summer. lovely flowers are also one of the characteristics of Karuizawa Bori. Themost attractive point is that each petal is delicately carved.